The GC (Giant Cog) range was the first product to be produced. 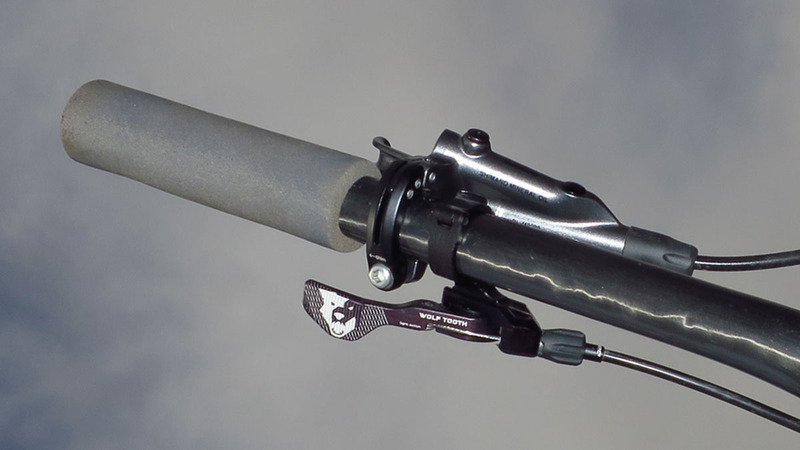 Wolf Tooth produces a separate extender cog to fit with Shimano and SRAM cassettes. This decision was made for two main reasons: one, it’s easier to fit a cog that has been designed for a specific freehub; and two, the shifting is going to be more reliable and precise if it’s been designed for that cassette. Machined out of aluminium the 42T extender weighs in at 86g, which I don’t think is too bad when you consider you remove your 17T; besides, it’s the size of a dinner plate. Which is a funny one. 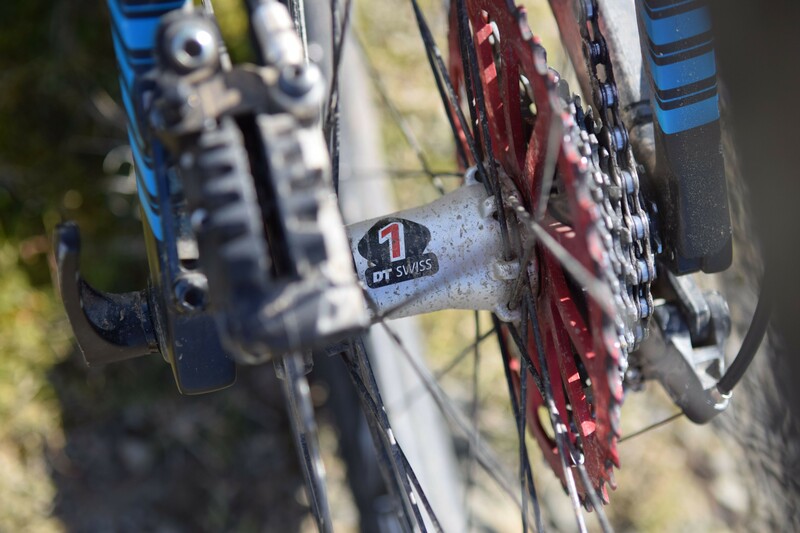 When SRAM first brought out XX1 there was loads of chat about how daft it look having a sprocket bigger than a brake rotor, but now it’s just part of riding with a one-by system. I’ve replace my existing extender cog for the GC and at the same time removed my 15T and added in the Wolf Tooth 16T Expander. Ooh how nice it was to be spinning up climbs socially, rather than powering on with a 36T. Wolf Tooth has a nice compatibility page on its website, which is worth checking out first. The GC should fit most mid range Shimano 11-36T cassettes, where the cassette can be separated, as you need to get at least the 17T out. Wolf Tooth has now stopped sending the GC with a longer B-screw as they found that it was only about 50% of derailleurs that needed it. 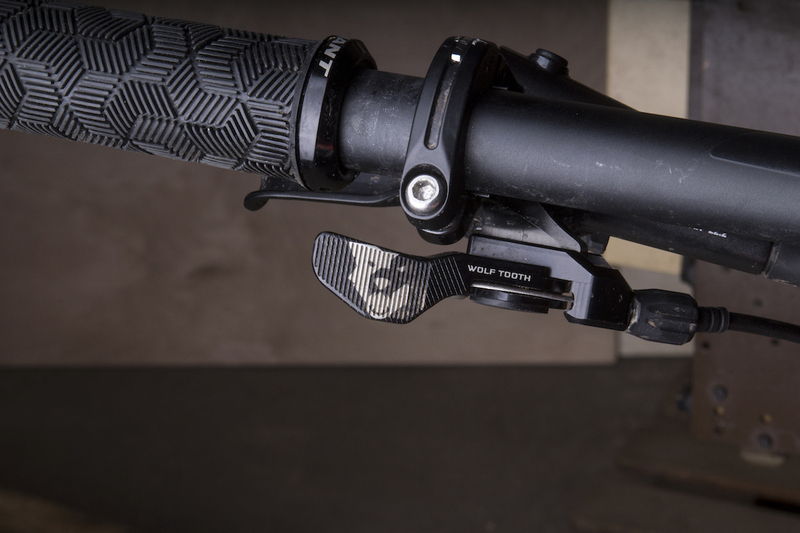 If you find that you could do with a B-Screw it might be worth checking out Wolf Tooth’s GoatLink, which is a extender for your mech – putting it in the optimum position and reducing the chance of damage to it. My setup has been with a XT Shadow+ with a medium cage. You see a lot of people running Zee or Saint Mechs with their short cages, but these are the combos that seem to have longevity problems. At the end of the day a Saint mech is designed to work up to a 35T sprocket and won’t like to stretch to 42T. That would be like pulling your legs in a medieval rack just so you can wear longer trousers and improve your stride. You’ll break your knees doing that. On the trail, I thought I’d always be a 36T kinda man. You know, stay true to the design of a product, only going to a larger cog if the whole drivetrain had been designed for it. I buckled like a child being bribed by sweets. Ooh how nice it was to be spinning up climbs socially, rather than powering on with a 36T. The GC is beautifully matched, although I’m not a fan of the red anodising on our test cog; I’d have preferred black or silver, which are available. As I said, I replaced the extender I had for this one, so the B-Screw was already set up. So far, the GC is wearing well and so is the 16T Expander. I’m particularly impressed how the GC picked the chain up and how well it stayed there, when putting the power down on steep climbs. I was having some shifting issues with the previous cog and the chain was dropping occasionally under power. It did take some time to get used to the changes in spacing and I have found that when I’m racing the 16T is slightly too big and the 13T can be too small – I am missing the 15T when racing. However, where we do most of our riding, on the foothills of the Pennines, I don’t think I would go back to having a 36T for my lowest gearing. 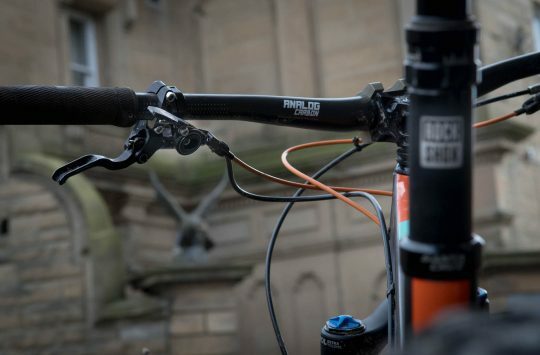 Yes, I can run a double, but I really do like having uncluttered handle bar and quite drivetrain that the one-by system provides. Overall: Wolf Tooth has made this in the US, it’s strong and shifting is very good indeed. 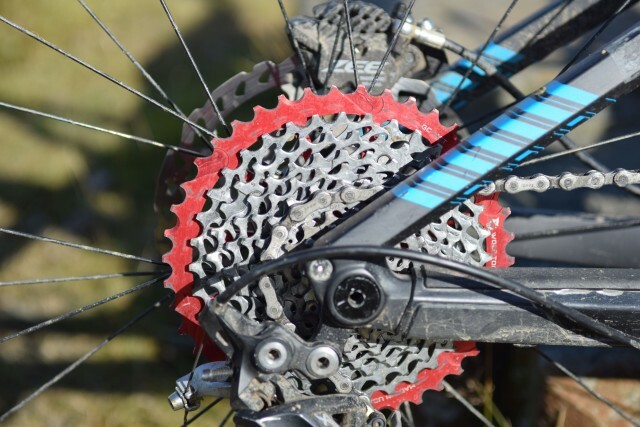 There is 1×11 trickle down but it still costs less to put on an extender if you are running 10 speed.